The Rebel Sweetheart. : Join | Crazy Cupid Giveaway! Going out on a date with your significant other? Partying the night away with your girl friends? Or perhaps making a grand entrance to your Senior Prom? Whatever it is that you have planned on Valentines Day (or the days succeeding it), let The Rebel Sweetheart be your Crazy Cupid and doll you up with these! Huge thanks to Stuff in Style for sharing this wonderful loot with my lovely readers! 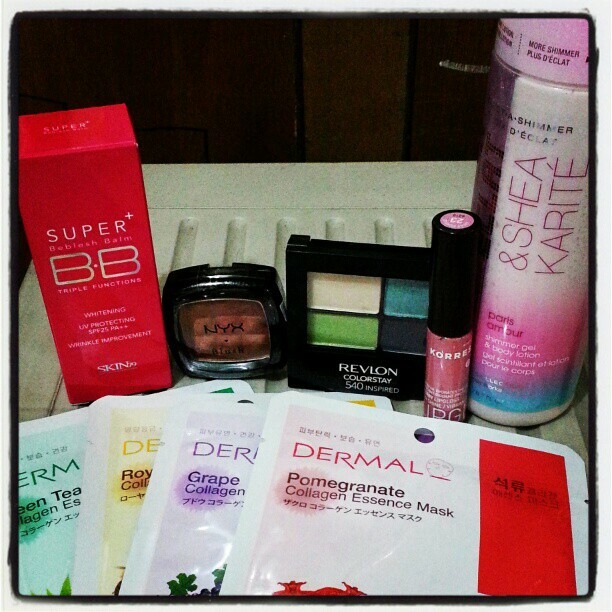 This giveaway will run from February 1 until February 15. Open worldwide! Good luck! 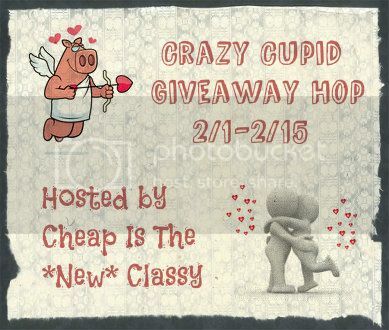 This Valentines Giveaway is part of the Crazy Cupid Giveaway Hop, hosted by Cheap is the New Classy. We'll have a quiet night at home! I plan to celebrate with my hubby! I really haven't made any plans. My husband and I are going on our first kid free night in several months! I don't care what we do as long as we get to spend some quiet quality time together! Don't have any plans yet. Haven't planed anything special till now,Now I have to,anyway thanks for remembering. We don't have plans. We're broker than a joke. No plans, probably just stay home and eat a nice dinner together since we don't get to do that very often. I'm big as a house pregnant so we will probably just stay in and watch sappy Hindi movies with a nice dinner! Great package! I'm not entering but I love the box! You rock with your reviews and giveaways! I plan to just be with my books and study. Boring, I know. I plan to spend it with my books. Boring, I know. This is a generous giveaway! A lot of ladies out there must be thankful you are hosting something fabulous all for free. 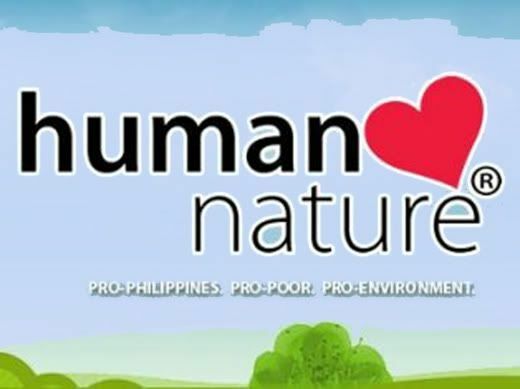 Goodluck to all the participants! spending it with the family! We are having a family night. Special and romantic dinner at home...we celebrate 11 st wedding anniversary february 16th...so its 3 non stop party days! a real chill night with my gf.. dinner.drinks.. tv.. I plan to enjoy it with my family. thanks! My husband and I are both working until 10pm, so I guess those are my plans! Me and my husband are planning to go to church first then go to mall and have a nice lunch there. It will be our first valentine's celebration as husband and wife. I have no plans for V-Day. No plans. We'll probably just stay home. pretending it doesn't exist and volunteering for a film fest instead. We plan on having a fun Valentines dinner with our kids. I don't have plans. I am a single mom & my kids are 20 & 28. I'll be busy at work since I'm part of our Office' Fun Committee. I will be one of the people at work who will facilitate our account/company program for Valentines. And I love organizing and being one of the people behind an event. I am just going to spend it at home with my family. I'm probably not doing much except helping at my twins' school for their class party! No big plans. The day before my husband and I are going to go out for dinner. will give him a surprize! Went to the movies and ordered pizza and watched more movies. I didn't have any plans and I didn't do anything either. No plans :( had to work all day long. We had no plans & stayed home.